I feel the need to justify the multitude of purchases on the September list. The fact is, I had a birthday epoch this month, which may have put me in possession of a trifle more money than usual. Only two of the items on this list aren't related to birthday-ness (#1 and #3, as if you couldn't tell). 1) Tarte Lights, Camera, Lashes Mascara - In my transition to more natural makeup, I have moved on from my quest to try every mascara to settle into Tarte's offerings. This one is their most popular, though I'll probably try the others, too. The biggest thing about this mascara, for me, is that you can layer it. If you can layer a mascara, you can pretty much get as full lashes as you want. 2) Fresh Sugar Rose Lip Balm - I rarely feel like my lips are dry, and I likewise rarely feel like a lip balm/color has made them feel any different. But when I got my Sephora birthday gift of a deluxe sample of Sugar Rose and Sugar lip balms, that changed. The Sugar Rose, which is the tinted one, feels amazingly soft and sort of buttery--I know that implies greasy, but it isn't that kind of texture at all. It feels nourishing, and though the tint is light, it's enough and also provides a subtle shine. 3) Oatmeal - I go through phases with oatmeal; sometimes I think it's delicious and other times I can't eat it. But right now I'm enjoying it made with almond milk instead of water and sweetened with honey. Speaking of things that are nourishing. 4) Castle Skirt - It's funny because most of the reviews on Anthropologie are my perspective exactly: I don't usually buy clothing full price at Anthropologie, but I had to for this skirt. (I only have two other clothing items from here, and I definitely wouldn't have made this purchase if not for the aforementioned $$.) 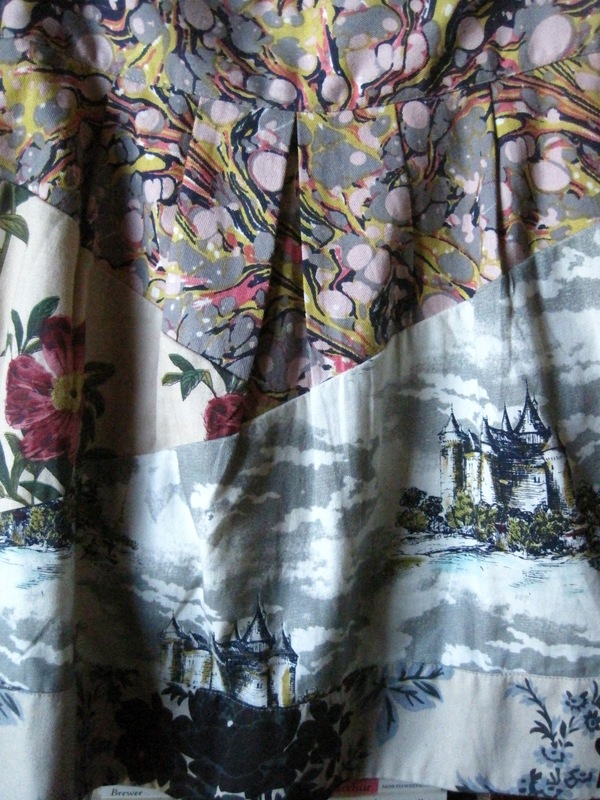 The design of this skirt is ridiculously perfect: patterns, colors, and castles. It's silly and unique yet also a bit refined. 5) BookBook - One year after finding out about the existence of this laptop case, finally I was able to get it. And yes, it was worth the wait. I chose the version with a black spine as opposed to the red, which seems to be more popular (but I'm very much not a red person). The sides are sturdy enough to lend a little protection to my Mac and the leather binding attractive enough to match either my outfit as I walk across campus or my apartment while I get work done at home. 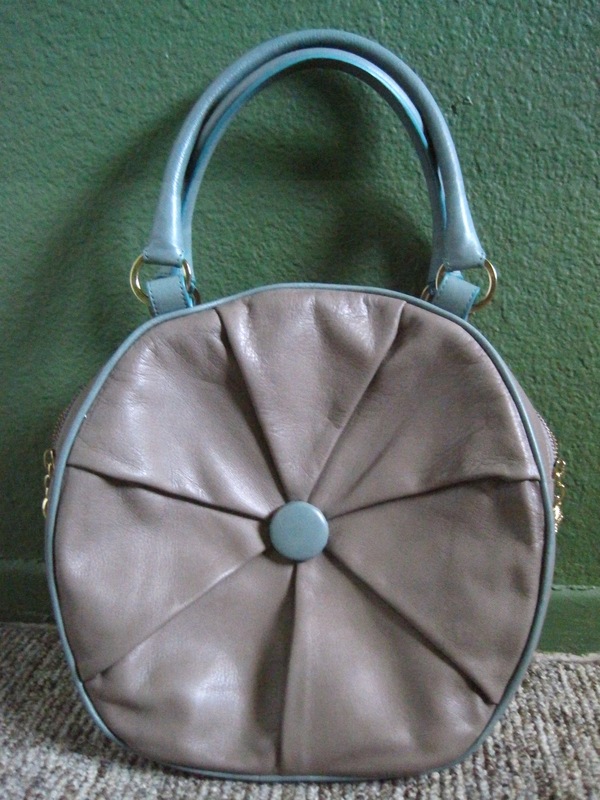 6) Purse - I'm pretty sure I've never spend more than forty dollars on a purse. So I've had a couple of Fossil purses, some fabric purses, and a weathered Gucci and an aged Prada picked from yard sales. I've never much shared in the purse obsession, mostly because I can never find something I really like, much less for its price. So given that I was going to have some money, my thoughts went to a purse: if I didn't have the usual price limits, that would make a big difference. And I had just seen one on Modcloth that looked fun. It's leather and big enough to store things like a water bottle and a scarf without looking big. And it looks unique, doesn't it? I couldn't buy a purse that looked like what someone else would be carrying: I had to choose one for me. 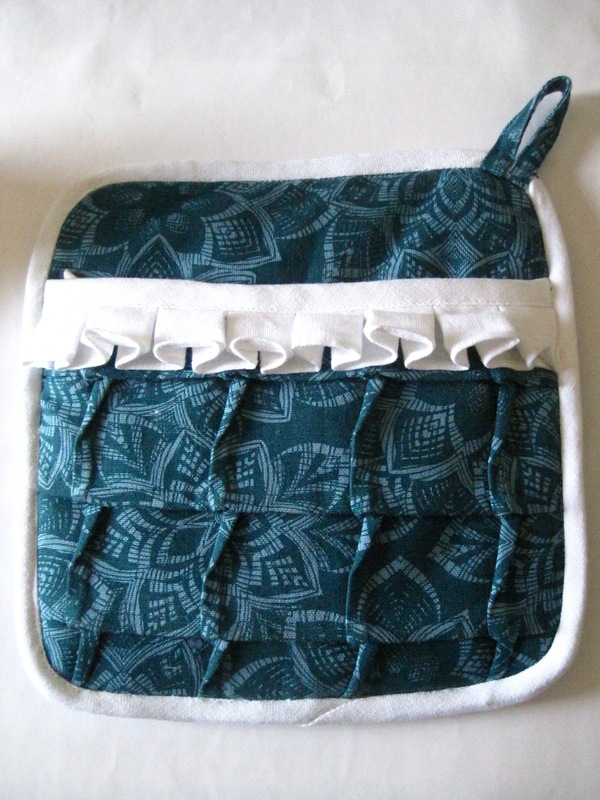 7) Green Satchel - Along the lines of uniqueness, I also saw this bag on Modcloth. A green leather briefcase, my, my. What absurdity. Which of course means that I had to get it. It's quite thin, so it only works for my "lighter" school days, but I think it's something I can use after I graduate, too. If I had chosen a bigger tote bag of sorts, that might not have been the case. 8) Purple Watch - Right after I got this watch at World Market, I started seeing similar watch styles everywhere. They must have copied me. Being faux leather, it goes against certain of my standards, but I'm justifying that by thinking of it as fashion jewelry: it'll probably go out of style soon and I'll lose interest in wearing it. So I'll just enjoy it for now instead of eyeing actual leather versions. 9) Green Headphones - Another Modcloth purchase, I thought these would be a step up from my Apple earbuds. They aren't top of the line, but they are a step up and they're green, so I'm happy. There's nothing like having your electronics fit in with decor. 10) Jane Eyre t-shirt - This shirt is a fairly new addition to Out of Print's collection. Given that I am working with this novel and two others for my honors thesis this year, I just had to get it. I wore it yesterday with a black pleated, schoolgirl-style skirt and a dark gray belt. Nerdy fashion, anyone? The Disney princesses started out as the usual white, European, medieval stories. But attempts at expanding that out brought, in particular, three movies: Pocahontas, Mulan, and The Princess and the Frog. And did any of those receive near as good a reception as, say, Tangled did? Or stay in people's memories as fondly as did Beauty and the Beast? The reason I find this an interesting question is that with mixing up the race issue, there were other changes that followed--and could it then be those changes that made these three movies a little less accessible? Being American, I'm usually inclined to think "race" doesn't matter so much, only what culture you were raised with--whatever racial background I have I usually don't think has had much bearing on my life since I have only ever lived in the U.S. But it is more complicated than that, isn't it? Within the last week, I have watched the first two movies in my list for the first time in years. While Pocahontas has inspired some snide comments about "the Disney version" of history, I have something to say about that. The Pocahontas/John Smith story existed as a myth from the very first time it appeared--and I say this having read portions of the journals John Smith published. The scene people go back to as the "true story" (Pocahontas saving John Smith's life) actually wasn't added until a later edition; it's something he went back and added. So the "truth" doesn't matter: it always was a symbolic myth. And while the symbols may be obvious after looking at the story in a literature class, they're perhaps a little more difficult to grasp in an informal look. So I think Disney did a decent job with presenting this story; the problem is just with the structure of the movie. Things take a while to happen, even then very little happens, and we have a non-traditional Disney princess ending. All three of these may very well be the result of the Disney team not wanting to stray too far from the basic makeup of the myth, not wanting to diminish what a culture clash happened when European settlers came to North America. But it's these plot difficulties that I think are the things audiences responded less well to, not necessarily Pocahontas's race. Usually when watching an animated movie, I find myself remembering more as I go along; things I had thought I had forgotten I end up recognizing. But that wasn't really the case for Mulan, which I only saw once in theatres. I only remember that I saw it with my cousins; I remember nothing of my reaction. This time, though, I thought it was pretty good. Not flawless, but what Disney movie is (except maybe Snow White)? Mulan is a character with depth who develops throughout the movie. She does what needs doing--which is what Disney princesses are supposed to be about (I think they also started out as meek and humble, but those virtues have begun to fade as society begins to consider them more as weakness than virtue). This is why I think more people continue to like Mulan than Pocahontas. The difficulty that initial audiences (especially children?) may have had with the movie was in the culture/setting. Growing up and now, I watch more movies and learn more about the generic, European medieval setting than anything at any time period in China. So there are some things to get used to (if that's the right phrase) in this movie, though I think the plot is in general basic enough to follow along with without any trouble. But it's still an added layer that, while separate from Mulan's race, is still connected to it. Now for The Princess and the Frog. I really enjoyed this one when I saw it in theatres a couple years ago. Visually, it was sometimes even stunning--probably because I prefer traditional animation and you get so little of that these days. But it didn't do terribly well at the box office--not nearly as well as the hit Tangled the following year. I have heard a lot of comments that the difference may have been in marketing. An early trailer for The Princess and the Frog was . . . weird, and it was marketed as having music. I didn't know Tangled had music until the first song started (which was a bad song, I might add--though the whole movie went from so-so to much better). It was marketed as more of a modern, Medieval thing (almost Shrek-like), whereas The Princess and the Frog takes place in the recent past of New Orleans. There's a lack of separation in this decision about setting: did they just portray New Orleans people as gumbo-eaters? Was there too much emphasis on the voodoo? You can ask so many touchy questions. So many questions that we probably even forget that Tiana herself is black; all the questions are greater than just her. Though to bring her back into focus, she is an interesting combination of the tireless, ever-hopeful Disney princess and a modern, independent, making-plans-for-herself woman. Interesting, but does that take away some of the "fairy tale" of it (as would be the case for all three movies, right?) if she is the one who has to pull herself up to the happy ending? So when a culture with a history of very white, European art (movies, books, myths, histories) sets out to include all aspects of its people's past, the result is just a step toward better understanding ourselves. If sometimes the effort doesn't go far, it may be because both the people behind the camera and in the theatre may not fully understand yet. One last question: when are they going to retell a Mexican legend? Disney, we know you've been reaching out to the Hispanic community; why not do it with the first Hispanic princess? Let me return to a more literary turn here. I am currently working on a paper on William Blake (well, on two of his poems). And I am reminded of how colorful a conversation piece is Blake. The first teacher who taught us Blake in detail was a major Blake enthusiast, so even though I wasn't completely charmed by all his work, it was enjoyable material to study because of her enthusiasm. And it's a similar case this semester. We read portions (again, and among other things) from The Marriage of Heaven and Hell, which I somehow hate reading and find very difficult to get through. But much of what we went over in class was still intriguing. As were the illustrations that we looked at--I don't think I've ever had a class where we spent so much time on the illustrations Blake intended to go along with his poems. That was a big missing piece. As I wrote the first section of my paper, I was constantly referring back to images of the originals. Some of his illustrations are . . . odd, but some help give a certain tone to the texts. "The Sick Rose," for instance, gains so much from being viewed in its original, illustrated state. While I spend time with my two poems for this paper, I find myself warming up to them. But do I like Blake yet? I don't know: there is still something almost disconcerting about him. It reminds me of my thoughts on Oscar Wilde and The Picture of Dorian Gray; while that's a wonderfully written book and a rather interesting one, I can't quite accept it on a personal (not literary) level. Is it the same with Blake? I can't argue with his idea that both positive and negative forces make up the universe and that both have to be acknowledged. And I'm not calling him an amoral madman. So what bothers me, then? Is it just something in his writing style? I suppose only more study will bring me to the answer. 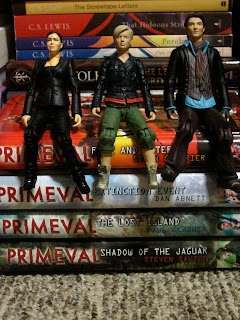 As I have been saying for months now, if you haven't watched the British series Primeval yet, go watch it. Another incentive to watch it is the upcoming Canadian spin-off, Primeval: New World, which unfortunately hasn't been picked up by a U.S. network yet. You can watch the newly released trailer for it here (and if you're looking for a Primeval fan/news site, I'd recommend Primeval-fans.net). Right away, my sadness about the inevitable loss of "Britishness" in the new show was evident from the trailer. And there are quite a few CG/action-type shots. The CG looks good, but I do hope that the show isn't as much about CG as the trailer (trailers, after all, are about "selling" the show, not necessarily giving you a glimpse at exactly what it'll be like). There are also quite a few recognizable dinosaur (maybe not technically all dinosaurs . . .) creatures; again, let's hope this is just for the trailer and that there will be a greater range. Naturally, ALP is the best part about the trailer; I say with full confidence that Connor has the best character arc of everyone in the original series. It's only fitting that he's the one to pass the torch on to the Canadians. Too bad he won't be in all the episodes. But, really, this trailer doesn't show much. It shows typical trailer things and keeps the details to itself--can't let us be spoilered, after all. And as I've heard said before, if we want to show that we really want a sixth British season, the best thing we can do is to support New World wholeheartedly; my problem is just figuring out how to do that if it isn't even airing in my country. If they were at least available on iTunes, I'm sure I would be willing to pay to watch the episodes--just give me some way to watch them. Whoops, do you mean to say that I watched all ten episodes of Galactica 1980 in three days? Now that I ought to be ashamed of--but, really, I can explain myself. You see, the first three part episode isn't streaming on Netflix, so I had to get the DVD out; and I hate keeping DVD's for a long time, so I watched all three parts Wednesday night so that I could mail the DVD back in the morning. And then when I got home today, I was just so tired (mentally, and a tad physically and emotionally, too) that it was dinner and Netflix for me. And I just kept clicking until those last four episodes were gone. But also, as anyone who has watched this series will understand, I think I let myself run quickly through the show so I could get through it. It isn't something you particularly want to dwell on, which is also why I'm doing my write up now instead of waiting until tomorrow when I've had a chance to think things through. When I gave my reaction to the original Battlestar Galactica, I more or less said positive things. It wasn't a perfect show, but it was such that I preferred to dwell on the positive. But that's harder to do for Galactica 1980. The problem seems to start in the show's premise: almost everything that was good about the original series is taken out of this one. Not only the characters we have come to know, not only the setting, but also the plots and ideals and the very dynamics. Apollo and Starbuck were the cool warrior buddies, reminding me of Tony and Roger in I Dream of Jeannie. But Troy and Dillon are completely shallow and flat characters; the script gives them no chance to show an emotional side or leadership skills or anything of that sort. Instead of being heroic and bright, they're bumbling and confused. They're out of their zone on Earth--but they have more trouble adapting than they ought. And if they did have that much trouble adapting, would it really make sense to send them and not some other category of people? People trained in culture rather than as warriors? Ah, this is very difficult. Staying on track, I mean. I know that this show had budget constraints and that this was what kept the scripts so much on Earth . . . but couldn't either some creativity or better scripts offered an alternative to what this show became? What does seem to bother me most is the absence of the ideals; instead of this picture of a positive people, we are given a presentation of the problems in Earth's system and the problems of the Galactica's ability to adapt and survive. Problems, thrown in with some cheap laughs and flat characters? No wonder the show wasn't well received. There were some okay scenes, and I particularly enjoyed the final episode (for obvious reasons--or should I say reason? A reason that starts with an "S"). I didn't waste my time. But this show may drift out of my memory before I realize it's even gone. On to the re-imagining of twenty-three years later. If you look back at my March Favorites post, I addressed why I wasn't doing a separate post for the new Fireflight album, Now. I just wasn't interested in it enough, though Fireflight has been among my favorite bands for a couple years. But this summer I modified my opinion. I really should have written this follow-up post two months ago, after I finished reading How It Ends and had an emotional moment that allowed me to truly hear what Now offers. Like I said in the Favorites post, Now isn't so much about emotional uncertainty and confusion; rather, it has reached a higher plain. It is a half-breathless keeling out from atop a cliff, a cry for strength that in itself makes you feel strong enough to rise up into the wind--to become stronger than your physical self. To understand more than your physical mind. It's more about resolution, if you will. And I can't believe I didn't at least mention before the song "Stronger Than You Think." Yes, this is one of the louder songs on the album (and therefore a bit more like previous Fireflight songs), but I liked it from the start. It's terrifically empowering; I'm constantly finding the chorus rising into my mind when I need it to. And the opening song, "Stay Close," I also can't believe that I didn't overly like this song at first--the emotion, the emotion. It's a desire, it's a breath, it's a prayer--all captured in three and a half minutes. So sorry for my earlier ambiguity. I just wasn't in the right emotional mood to understand this album. For this album has a better understanding of the world than I perhaps did when I first listened to it. Love you, Fireflight, and sorry I didn't get to see you when you were in Phoenix this month. About four years ago, I went to see the Southwest Shakespeare Company's rendition of George Bernard Shaw's play Pgymalion with school; I liked it so much that I had to go see it again--I think I was very afraid of forgetting anything about it. I was afraid of temporality. I have no idea how I haven't managed since to see another play by this company--I have wanted to, very much wanted to, even. So it was a happy sort of occurrence that I was required to see Love's Labour's Lost for one of my classes this semester; given that we also have to write a short paper on the production, I won't be going into much critical detail here, but I do want to give a few thoughts. A few thoughts perhaps on how wonderful it is to see a live performance unfold before you. I don't generally like Shakespeare much (sacrilege for a literature major, perhaps), but I love seeing things live (though I don't often get the opportunity). Reading one of this plays is like staring at puns on a page, but watching one is watching what the actors (and everyone else involved) bring to the stage. Their gestures often cause more laughs than their words themselves. I was a little disappointed, overall, by Berowne: I was expecting him to be more vibrant and silly like he was in another (recorded) production, so he didn't stand out so much to me. But Costard, Costard was great--the actor's biography mentions how much he loves Shakespeare and it shows. He was a scene-stealer because of his tactile approach to the role. Armado and Moth were also great in their scenes. Do you notice the trend here? I found myself enjoying the "lower classes"/the comedic roles more than the main gentry characters. I also realized that I was seeing, for the first time live, many things I knew much about. When I first read the play-within-the-play, I was bored to see it once again (it's also in Hamlet), but it was entirely different to see onstage. There was a musical component to this play, culminating in the ending song that almost acted like a bridge between the play's world and our world. So that's it: colliding of worlds, worlds of fiction and reality--that's what's amazing about seeing plays live. I've been readily explaining this summer to anyone who will listen that I am obsessed with Primeval; I've even gotten some people to watch the show. But perhaps you think I am fabricating my obsession? Perhaps you think it isn't as big as I say it is? Be under that impression no longer. You see, Primeval fades into everything. (Yes, spoilers coming up.) I'm in a class on the History and Evolution of Food right now (yes, you may commence your jealousy). Given that we started at the very beginning of the timeline, there was much talk about early scavengers and the nutrition you can get from tubers that some modern gatherers still find by poking sticks into the ground. Sound familiar? That's exactly what Abby was doing in her opening scene for Season 4; hunting and gathering was exactly what she and Connor had to do during their year in the Cretaceous. So while I was sitting and reading through books and articles or listening to presentations in class, I kept returning to Primeval. Obviously, whenever I come across the word anomaly, I start giggling (audibly if I'm alone, probably inaudibly if I'm not). I never realized how often that word is used until it took on this bright, fluorescent coloring. Even the word "primeval" itself comes up more often than I ever knew; I start rallying up with happiness whenever I run by it. And then in my class on Romanticism we were looking at some paintings from around the same time period; Caspar David Friedrich's Wanderer above the Sea of Fog (which you can view here) has so much of the sublime that it evokes not only Connor and Abby stuck in their Cretaceous setting, but also Cutter when he first goes through an anomaly and looks out at the wide Permian landscape, or Danny when he surveys the Rift Valley in the Season 3 finale. It's a view of something stunning, awesome and potentially threatening, against which a lone figure is only a very small part. You see, you see: I'll give depth to Primeval. Let it first be noted that when I refer to King Kong, I am referencing only the Peter Jackson movie (I'm unfamiliar with the details of any other versions), and as far as The Phantom of the Opera, I may be simultaneously thinking of the original novel and the movie based on Andrew Lloyd Webber's musical (though they're very different). You'll notice that in both stories there arises an almost love triangle in which one of the individuals is some way or another inaccessible and the remaining two become a couple by the end. These are, of course, Christine and Raoul with the Phantom/Eric as the extra and Ann and Jack Driscoll with King Kong as the extra. The Phantom's inaccessibility is initially his deformity, but ultimately his evil nature. King Kong, on the other hand, is literally not human. He is a force of nature, a force that Man tries to control, to both their dooms. Ann is the only one who can access him on his level, trying (without success) to stop Man from harnessing and harming him. Similarly, Christine is able to feel true compassion for the Phantom; though it is Raoul she loves, she extends her sympathy and kindness toward Eric as a human being that the world will forever shun--but he has moved too far down his path to completely retract. Raoul and Jack are both of a gentle nature; it is because of this nature that they are able to understand the perspectives of compassion Christine and Ann have chosen. Raoul only wants to marrry Christine and take her out of this labyrinth of the Phantom's Opera (oh, did I slightly steal some of the lyrics from "Why Have You Brought Me Here?"). Jack was drawn into the expedition against his will; he only prolongs it to rescue Christine and has no interest in exploitation of the wilderness. So both Christine and Ann by their compassion, ironically, drag their men into trials and danger. Even forces of good do not always produce fun results, eh? Ultimately, the "good guy" gets the "innocent girl" and the extra character is either killed or otherwise thrown away. Is this the triumph of good over evil, or the inevitability of society's in-acceptance or destruction of forces/figures that are different from it? Or is it both? The more I look at them, the more I find that these are very similar stories. 1) Tarte 360 Creaseless Eye Primer - I happen to have unfortunate eyelids that require eyeshadow primer; otherwise, one blink and the eyeshadow will crease. Mark by Avon and Merle Norman didn't work for me, either, so I was a devotee to Urban Decay's Eyeshadow Primer Potion. But I'm trying to buy more natural makeup, so when Tarte came out with a new primer that was getting stellar reviews, I had to try it out. Amazingly, it seems to work just as well. I still have the same eyelids, and I still wander around riding my bike under the Phoenix sun, and my eyeshadow still stays put. My only complaint is the tube format: I miss Urban Decay's applicator. But I've been using a small brush (I want to call it an eyeliner brush, but it's actually labeled a "smudge" brush) to apply it, and that has been working just fine. 2) Eco Tools brushes - The "small brush" I use for the primer came from this set. Previously, I would use the same brush for all my eyeshadows, even if I was using four or so shades at one time. This little set of brushes makes it much easier to use a different brush for the different colors/parts of the eyelid. 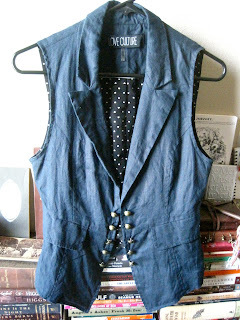 3) Vest - Here is my vest I rambled about a couple weeks ago. It's dark blue, it's linen, and most importantly is a vest. Cool people wear vests. Given that I am neither a fashion photographer nor a photographer in general, it doesn't look at all right in the picture, but at least you can get a general idea. 4) Candles - I once heard a quote about how candles are for lighting, not dusting. However, I only learned this month the truth of this. Candles lit in the evening make a room much softer, whether or not you have other lights on. They're a sign of warmth and nature and home. 5) Green glasses - I had a trip to Anthropologie a few weeks ago (when I bought the vest) in which, as I related in later conversation, I slipped and fell. I caved; I said that coveting isn't good, and therefore I ought to buy the green glasses I had been eyeing for months. I only bought two; two is technically all I need; probably I would never buy them if I waited until I could buy a larger set of them. And I'm in love with these beautiful green glasses: they're so magical. 6) Blue oven mitt - Technically, it's a pot-holder, but I never use regular oven mitts for taking things out of the oven, so I always call pot-holders oven mitts because that's how I use them. I chose this one during the same Anthropologie trip, as a part of the redecorating I was doing. There's nothing like a spot of color to brighten a very dull kitchen, such as mine previously was. 7) Blondfire's "Waves" - After my rambling when this song first came out online, I have returned to listen to it at least every other day. It's addicting, and it provides the perfect balm for when I'm feeling my own waves of stress and tiredness and need to remember where this moment can end up leading. 8) Coin necklace - A thrift store find, I have no idea about the actual characteristics of this necklace, except that it looks like a coin with the Queen that is fitted onto a necklace. Monetary value? I have no idea. Value as a random accessory to add some flourish and uniqueness to an outfit? Definitely there. 9) Get Smart - As I've mentioned, I've been watching a little of this show lately. It's perfect ridiculousness, is what it is. Though I've seen every single episode, still it's a comfort to go back and laugh at all the silliness. There's just something about TV from the sixties. 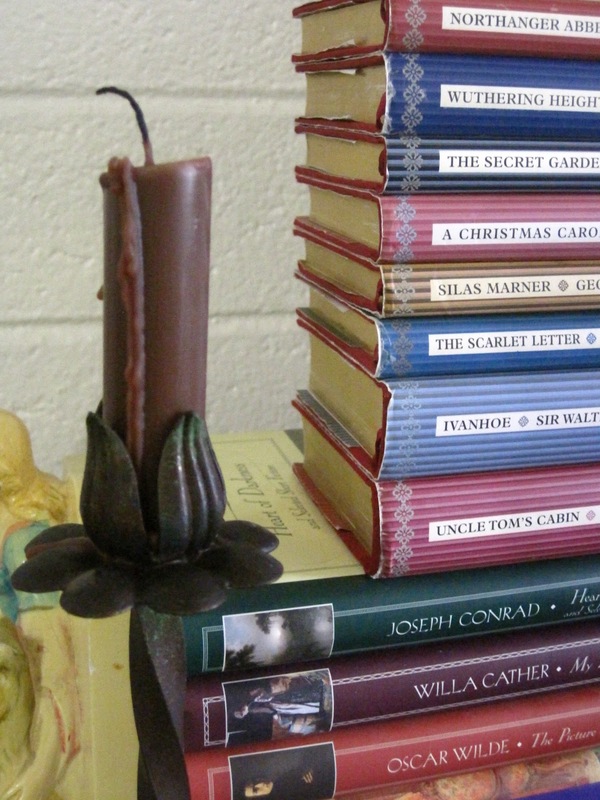 10) New Jane Eyre copy - I might as well build a Bronte shrine of books, right? Once I had three copies of this book, it started to become addicting. This hip, lavender cover caught my eye at Costco--it's a great way of redressing a classic, and a great addition to my collection--now where's my fifth copy?